Here is your opportunity to experience 10 nights of Polynesian Paradise and scuba diving at its best. We are offering this last minute deal from travel November 6-18, 2013 with a small group from San Francisco. We will be departing Los Angeles (LAX) to Nadi (NAN) on November 6 and returning to Los Angeles on November 18, 2013. 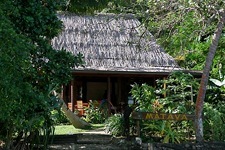 We will be staying at Matava Eco Resort for 5 nights and Wananavu Beach Resort for 5 nights. This trip includes island bure accommodations, all gourmet meals, scuba diving at both resorts, domestic Fiji air transfers, and round trip air fare LAX-NAN-LAX. Amazing $3639 ppdo. Contact us for the detailed itinerary! Our 5 night dive package includes 5 nights in ocean view traditional bure, all meals (breakfast, lunch, dinner, unlimited tea/coffee), traditional lovo feast and kava ceremony, 10 dives with Mad Fish Dive Center (3 days/3 tank + 1 night dive). Find your spirit of adventure as you experience the magnificent beauty of a remote unspoiled tropical Fijian Island. Plunging volcanic rainforest slopes meet azure coral lagoons and the Great Astrolabe Barrier Reef, a rare untouched slice of nature unfolds before your eyes. Relax in the splendor of your private en-suit bure as you contemplate the stunning sunset and anticipate the evening's dinner of fresh fish, fruits and organic vegetables, grown right before your very eyes and served by lantern light on the ocean terrace. 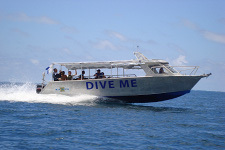 Dive the world renown Great Astrolabe Barrier Reef in style from the 31ft custom built Dive Me. Indulge in valet diving from our on site award winning PADI 5 Star dive center. Our 5 night dive package includes 5 nights in garden view bure, all meals (breakfast, 2 course lunch, 3 course dinner), 6 dives with Dive Wananavu dive center (3 days/2 tank), unlimited shore diving. 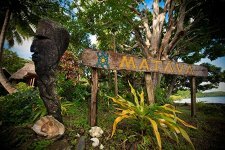 If you are looking for a true Fijian experience away from the major tourist areas then wananavu is where you want to be. Wananavu is a truly idyllic resort offering an island paradise experience with mainland convenence. Just a 2 and 1/4 hour journey from Nadi International Airport will have you being met with the biggest Bula in Fiji and tasting your first coconut before most visitors have even reached their island destinations. Wananavu boasts 34 deluxe bures and the uber chic 4 bedroom Villa Vanua amongst the lush, tropical gardens, dotted along the beach front or perched on the hillside overlooking the azure Sailstone Reef and the Nananui Islands. You haven't dived Fiji until you dive Wananavu and you haven't dived Wananavu until you dive the Bligh! The Amazing Maze, Breath-Taker, Golden Dreams, Mellow Yellow, G6, Black Magic Mountain, Instant Replyâ€¦names that will become etched in your memory. 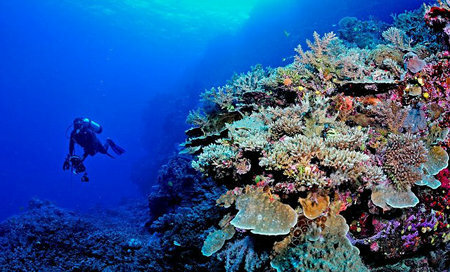 World class diving delivered by our PADI Gold Palm Certified team will have you coming back again and again and again. 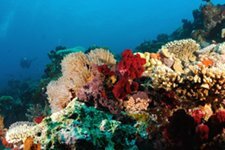 From beginners to braggers, there's something for everyone at dive Wananavu; from the thousand fish frenzies of Sailstone Reef to the awe inspiring soft coral and big, big fish of the Bligh Waters.